Alberta Parks is opening a stretch of fully accessible trail in seven parks. Each is called the Cecile Buhl One-Kilometre Experience. Seven accessible trails are opening across Alberta to reflect a volunteer's passion for nature and inclusion. 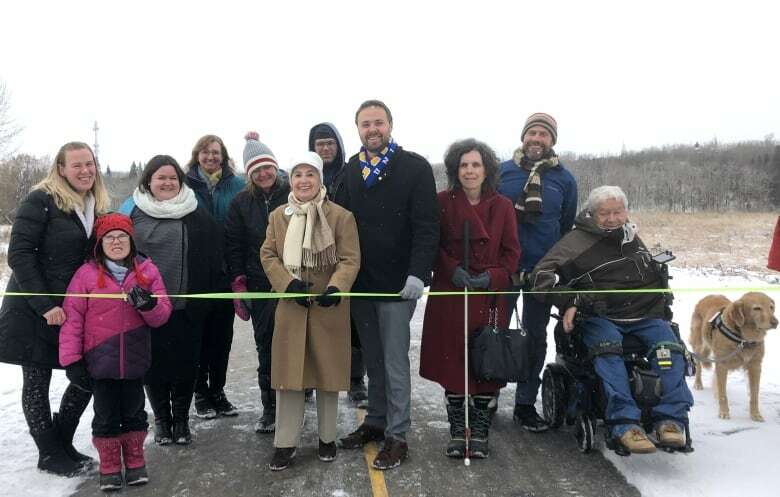 The trails will each be called the Cecile Buhl One-Kilometre Experience, the first of which officially opened at Fish Creek Provincial Park on Friday. Others are opening at Writing-On-Stone, Bow Valley, Pigeon Lake, Sir Winston Churchill, Lesser Slave Lake and Lois Hole provincial parks. The one-kilometre experience trails have accessible viewpoints, tactile warning surface for people with vision loss, and bridge railings. Buhl volunteered for nearly a decade with Alberta Parks through its "push-to-open nature ambassador" program, which has volunteers report barriers and audit trails for accessibility. 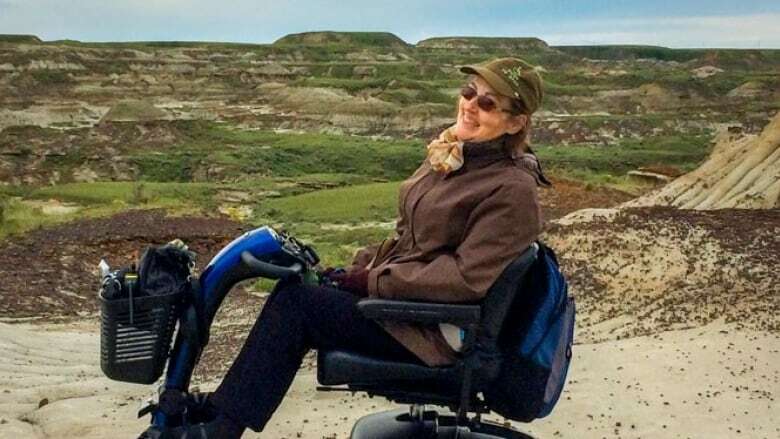 She died at age 49 in 2016, only weeks after leading an accessibility review of the Sikome Aquatic Facility at Fish Creek Provincial Park in Calgary. "Making Alberta parks accessible to everyone, that was her passion," her mother, Lydia Buhl, told the press conference. "Nature was what Cecile lived for and that is where she was the happiest." Buhl's work was "pivotal" to creating the one-kilometre accessible trails, MLA Graham Sucha said. She offered her experience as a woman with mobility challenges to inform the design of the accessible trails and pushed for their development, the NDP member said. "Her legacy will live on and she is now forever connected to one of her passion, which was nature," said Sucha, who represents Calgary-Shaw. "Cecile truly embraced the idea of parks for people regardless of age, ability, background or social-economic status." Volunteer Kathryn MacLeod has vision loss so she tested out trails, searching for tripping hazards, for example. At one point, she awkwardly tried to climb down what she thought was a set of stairs but actually was a seating area. "Being a glass three-quarters full kind of person, I live in the thought that somewhere there's a collage of embarrassing photographs of me that I hope is being used to improve the accessibility for people with vision loss and probably improve the world a little bit," MacLeod said. MacLeod's work was part of a broader parks accessibility audit conducted in 2016. The results of the audit are expected to be implemented by 2020. Another volunteer said he's found being able to access the province's parks and natural environments has led to an improvement in his physical and mental health, as well as social interaction. With files from Mike Symington.